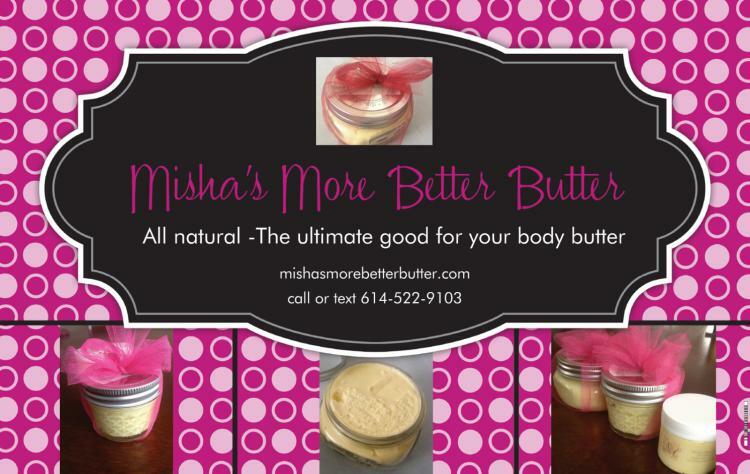 Welcome to Misha's More Better Butter online store. Please stay awhile and explore staying beautiful. The journey started when I decided to go chemical free in hair products. Since I often would breakout from some of the additives in many products. I wanted to know exactly what it was I was putting in and on my hair. So I did what everyone does I researched books, online and on YouTube. I’ll be the first to tell you that my products are something that you can do yourself. All the information is out there. I enjoy making and crafting these butters. I initially made these butters for my hair and quickly realized how great it was for my skin. If you do not want to make it yourself, I’ll make it for you. Only using ingredients that I would only use on myself. Let me help you use nature to stay healthy and beautiful, with the ultimate good for your body butter. All natural hair and body butter. Handcrafted with either natually refined (unscented, filtered) or unrefined shea butter, unrefined coconut oil, expeller-pressed and hexane free olive, jojoba, and sweet almond oils, and essential oils that offer light fragrances to the butte﻿r. The ultimate good for your body butter. Custom made blends of butter crafted especially for you. Call or text us at 614-522-9103. Hours 6am-10pm EST.